Peter Parry, MBBS, FRANZCP, graduated from medical school at Adelaide University in 1983 and following work as a medical officer in the Royal Australian Navy, general practitioner and in palliative/hospice care, he trained in psychiatry in South Australia. 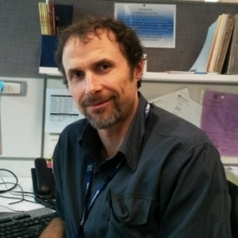 He has been a consultant child & adolescent psychiatrist since 1997 and worked in community clinics in South Australia, North Wales in the UK, and currently in Brisbane. He was director of the inpatient child & adolescent psychiatric unit at the Women’s & Children’s Hospital in South Australia from 2001 to 2003. He has academic status as a senior lecturer at the University of Queensland and as a visiting senior lecturer at Flinders University. His areas of interest include psychiatric nosology (diagnosis in psychiatry) and the philosophical assumptions that underpin different views within psychiatric nosology; developmental psychology; therapeutic lifestyle factors and evolutionary aspects of health; and pharma-medicine relations.